This customer has 5.2kW of solar panels across the front and rear of his roof, which were installed by us in 2011 and 2014. 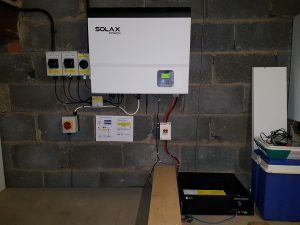 He wanted us to add battery storage to the system, so we have retrofitted a SolaX 3700 hybrid inverter and a Pylon Extra2000 2.4kWh battery. Already a very low user of electricity, he will now enjoy his surplus generated electricity during periods when his electricity demand exceeds solar production, for example on changeable days and at night. The battery storage is scalable, and he can choose to add up to two further batteries to the system in the future. 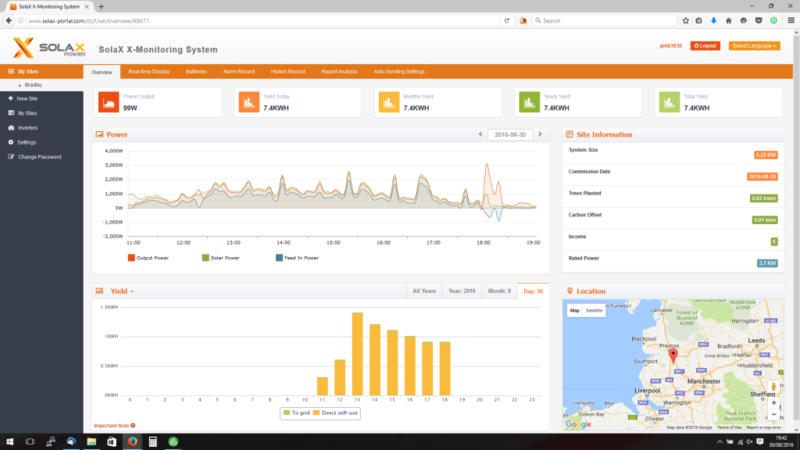 The inverter is equipped with WiFi; full system monitoring is available via the SolaX online monitoring portal.